If you are looking for some mobile ad networks which will earn you money after your mobile app is published, then you will be having several ad networks available for you. Mobile ad networks collect ads from advertisers and sell them to app publishers and developers. Putting it the easy way, ad networks act as the bridge between publishers and advertisers together. Though choosing ad inventory can be based on different factors depending upon ad network, still you can monetize your app. So, there are many mobile ad networks out there which won’t charge you anything for the sake of app monetization. But, these networks can earn you a load of money. AdMob by Google is undoubtedly one of the best and famous mobile ad networks with ebb-flowing functionalities. There are over 1 million apps who use Google’s AdMob. Compared to other ad networks, this one has high CPM and best fill rates. Not only this, AdMob is also a mediation platform. And, when you mediate from Google’s AdMob, you have an extra advantage of more than 40 third party ad networks. This further maximizes the fill rate and overall app monetization. AdMob has campaign types like CPC, CPM, and CPI and support formats like Interstitial, Native, Trueview, Banner, Lightbox, and Video. Moreover, AdMob is available at platforms like iOS, Android, Unity, Cocos2dx, and Wp8. Coming to the monetization, you will get the paycheck after you hit the minimum threshold of $100. Also Read: Top 10 SEO Tools Use to Boost Your Business Search Engine Ranking? Unity Ads is just another best ad network which brings video ads to its game. And, this video advertising plan has changed the dynamics of app monetization. Unity aids in making ads which act as the natural part of the games. Developers have monetized the whole player base with rewarded videos. Now, Unity is one of the trustable companies in the gaming department backed by a network of more than one billion gamers. If Unity is already added in apps, so there is no need of integrating the SDK. As a natural part of the gameplay, ads drive ARPU and contribute to the bigger goal – greater lifetime value (LTV) of the player. Moreover, Unity Ads supports CPC, CPI, and CPCV campaign types and support ad formats of rewarded and non-rewarded video ads. Unity Ads is available on iOS and Android platform with a minimum payout of $100. 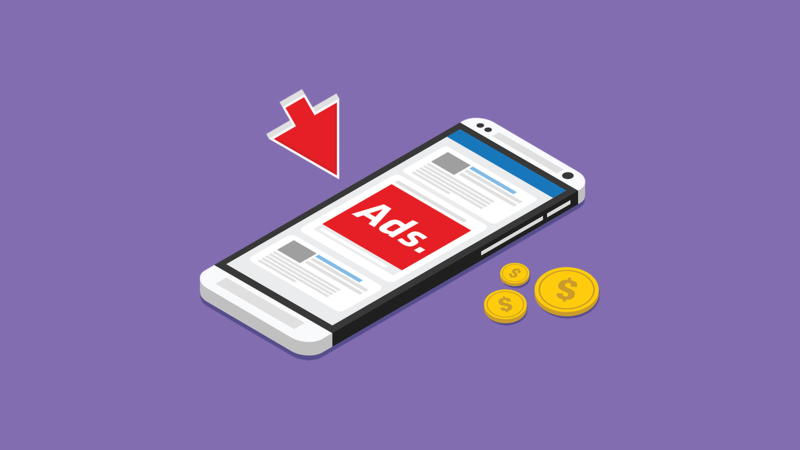 Leadbolt is one of the leading mobile ad networks which aids the app publishers with advanced partner match technology along dynamic ad delivery. Furthermore, it allows mobile advertisers to reach and acquire quality users at scale. Leadbolt uses analytics based algorithms to help advertisers with advanced targetting for the best fitted audience. Moreover, Leadbolt is known for the premium ads and its real time analytical capabilities. These help the advertisers with optimization on different platforms. The ad network gives app engagement data which help both developers and advertisements in many ways. Publishers connect directly to premium advertising partners through Direct Deals Marketplace. Not only this, it has high fill rates and support campaigns like CPC, CPI, and CPM. Moreover, Leadbolt supports ads like Banners, Interstitial, Native Ads, Offerwall, Rewarded Video. Available on iOS and Android platform, Leadbolt has a minimum payout of $100. 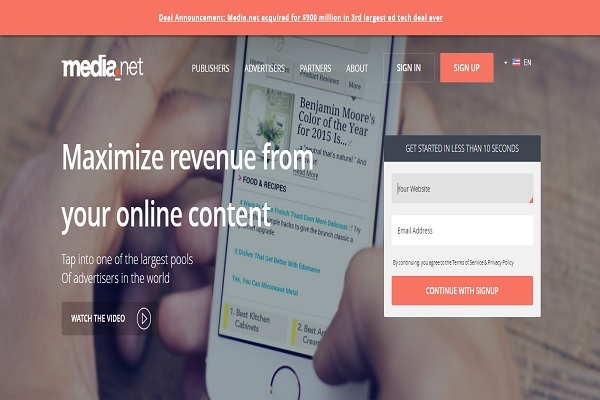 Media.net is known as the highly sophisticated plus popular ad network which monetizes the display placements by identifying the user search intent. Moreover, the search keywords relevancy leads to the display of different search ads purchased by advertisers. Advertisers have secured high conversion rates by the format. Moreover, publishers are free from all risk of purchasing a CPM based model. Furthermore, publishers will have higher revenue as you utilize media.net network for app monetization. This ad network is specifically for the games app publishers and this network will surely monetize your app. The ad network supports the cross promotion of apps and the ads are focussed on encouraging installs of new game apps. Game app publisher tends to choose Chartboost to keep their user base together. Publishers promote their new games in existing games apps. Users endeavor unique and fun options and app publishers want to promote their new games and push their installs. The platform helps you with analytics and publishers can get many insights on improving the campaigns by analyzing the data. Develepors get direct access to the generated data by Chartboost. Chartboost helps you to see who is advertising in your app and where. Moreover, you have full control over the type of ads you want users to see. Chartboost supports campaigns like CPC, CPI, CPCV, and CPM with ad formats like Interstitial, Video and Native Ad. Available at platforms like iOS, Android, Unity, Cocos2dx, Wp8, Amazon, and Air, Chartboost has kept its minimum payout of $75. Fyber gives its users with an Ad server, Exchange and Mediation products to produce revenue and serve more than 500 million users monthly. It is a full stack mobile SSP which helps in all kinds of ad monetization strategies. Its bizarre gift is its ‘Autopilot Feature’ which enables automatic optimization of ad revenue sources for developers. With Fyber, there is no need to control the priority of the mobile ad network. It runs synchronous campaigns across the direct, programmatic and mediated network. Moreover, it supports campaigns like CPC, CPI, and CPCV. Available at iOS, Android, and Unity, the minimum threshold for Fyber is kept at $200. Millennial Media is probably one of the largest mobile ad networks in the world. It extends a wide collection of mobile advertising solutions to both developers and advertisers.Smaller businesses can use Millennial Media platform and use the self-service solutions implemented in there. With the help of Millennial Media, developers can control their own house ads and can allot impressions to third-party networks. Not to say, but it is a very popular tool in US markets supported on both iOS and Android.Supporting campaigns like CPC, CPI, and CPM, Millennial Media pays you out at the minimum threshold of $50. So, here we have come to the end of the best mobile ad networks for the app monetization. If we have missed any network, leave your comments in the comment section below.